This edition contains the full text of the California Probate Code and related Rules of Court in a convenient desktop reference with analysis and convenient organizational features. 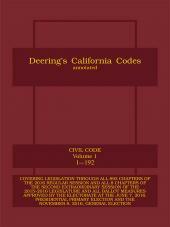 • Analysis of each code at the conclusion of the Legislative Session. • A table of sections affected by recent legislation. • Bold notations, appearing in headings, of Sunset and operative-date provisions. • All changes in text highlighted with italics. • All omissions in text highlighted with three asterisks. 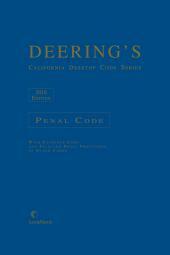 Deering's California Desktop Code Set is produced by the same expert Michie and LexisNexis editorial team that brings you Deering's California Codes Annotated, your respected California code service for over 130 years. Purchase the Probate Code or get the complete Desktop Set for your own desk or for every attorney in your firm. 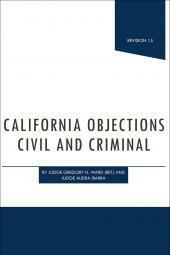 Rely on the same legal research excellence that has been relied on by generations of California attorneys.